A scaled down version of the popular Gekko, the Steel Will 1559 Gekko Mini can easily be a part of your daily carry system. 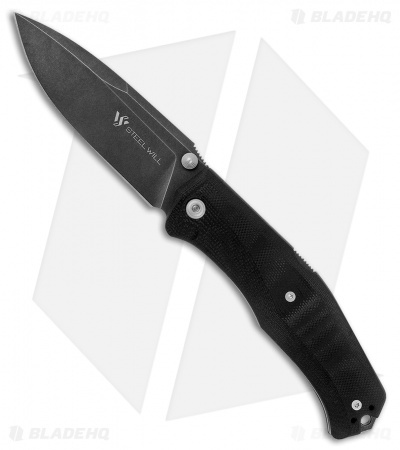 Made of black stonewash finished Austrian M390 stainless steel, the flat ground blade with an attractive swedge is locked securely in place with a robust lock back design. Functional jimping located on the thumb ramp paired with contoured black G-10 scales, provides positive traction for a comfortable and solid grip. Completely ambidextrous with dual thumb stud deployment and reversible tip-up pocket clip means it's as comfortable and easy to carry for southpaws as it is for righties.